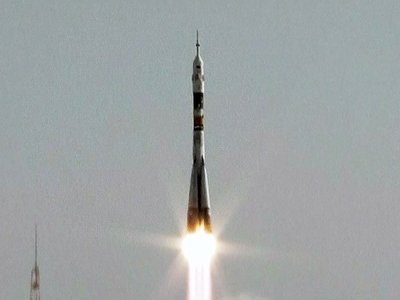 A Soyuz spaceship carrying three astronauts has successfully docked with International Space Station. The Russian, American and Canadian astronauts are to spend five months working together in orbit – and might even form a space musical trio. 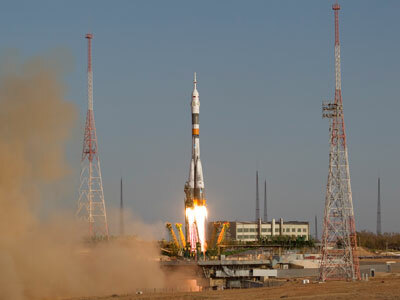 ­The three-person Soyuz TMA-O7M mission docked with the ISS at 14:08 GMT, two days after its successful launch from the Baikonur cosmodrome. Russian cosmonaut Roman Romanenko, American astronaut Tomas Marshburn and Canadian astronaut Chris Hadfield will spend 147 days aboard the orbiting laboratory. This Soyuz crew is all-veteran, with all its members having been in orbit before. Flight Engineer Romanenko, 41, is a Russian Air Force Major who commanded a Soyuz spaceship in 2009. Back then, he spent six months working at the ISS. Romanenko is a second-generation astronaut: his father Yury flew three Soyuz missions and set a record for time spent in space during his 1987 mission to the Mir station. NASA astronaut Marshburn, 51, a former flight surgeon, took part in a Space Shuttle mission to the ISS in July 2009, where he’s briefly worked with Romanenko. This was his first Soyuz flight and it will be his first long-duration space mission as well. Hadfield, 53, of the Canadian Space Agency, served as a Royal Canadian Air Force fighter pilot, and has two Space Shuttle missions under his belt. He will be the first Canadian astronaut to take command of the space station team. 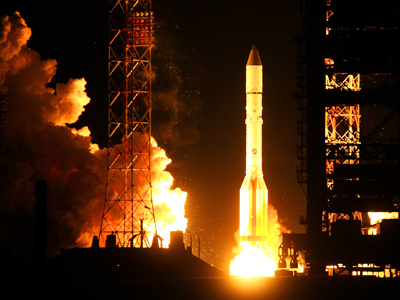 The jubilee 150th Soyuz docking coincided with the “end of the world”, which the Russian space agency Roscosmos disregarded as “fantasy” in a statement earlier. Romanenko, Marshburn and Hadfield have been welcomed about by the three ISS crew members who’ve already spent one month in space. Together, the enlarged team will celebrate Christmas, New Year and Orthodox Christmas. During the next five months the astronauts will be very busy unloading cargo ships, undertaking spacewalks and conducting more than 100 scientific experiments. These include testing a system for predicting natural disasters. Music will serve as a diversion for the astronauts, and a special space band project might even be possible. A guitar player and singer, Hadfield said he will record a number of songs during his space travel. He will be joined by Romanenko, who also plays guitar and is bringing a mouth organ with him to support the band. The Russian astronaut will again be following in his father’s footsteps as he was the first man to take a guitar into space. Marshburn too being an avid guitar player said music would help him overcome homesickness. Playing music has been quite a popular hobby among the astronauts, despite all the trouble with bringing instruments on board the space station. The instruments that have already made their way to orbit include guitars, a flute, keyboards, a saxophone, an Australian didgeridoo and an Irish tin whistle. 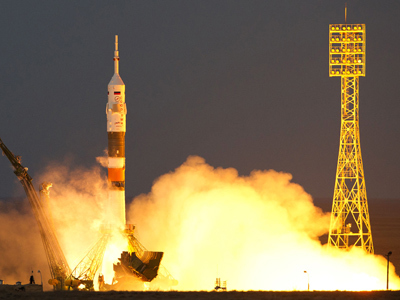 ­Space salaries not so astronomical? ­There’s more good news for the Russian cosmonaut, he’ll be getting a substantial pay rise, the first for Russian spacefarers for nearly two decades. 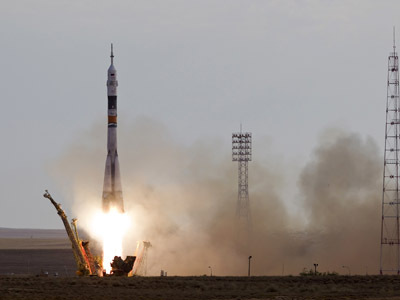 After the increase, cosmonauts will be paid 69,600 rubles ($2,260) a month – approximately $27,000 a year. There’ll be additional awards for years served, time spent on missions and an automatic New Year bonus. This is significantly better than the $1,000 dollars a month that used to make up their salary, but it’s still just a fraction of what NASA spacemen get. NASA astronaut salaries range from $60,000 to $130,000 a year – two to four times more than their Russian counterparts with the same experience. European Space Agency (ESA) astronauts are paid best of all. Salaries start at €4,800 ($6,370) per month, and can go up to €7,900 ($10,480) a month, though even the top astronauts are two pay grades below their heads of departments. However, the differences in salaries seem not so radical for those working in space. 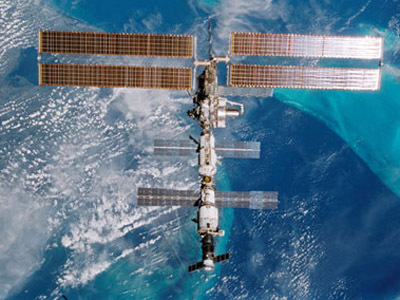 While NASA and ESA astronauts are paid the same salaries on the ground, as they are in space, Russians are heavily incentivized for performing every task during an actual mission, and a six month tour on the International Space Station can bring in as much $150,000 dollars.